This fork telescopically extends to a length of 21" to make someone else pick up the tab! 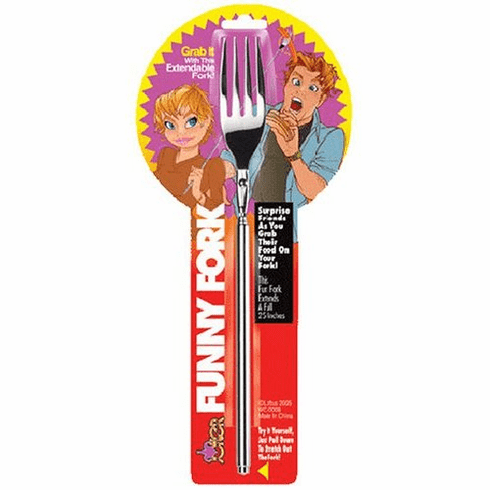 Simply extend the fork and silently steal whatever your stomach desires! Great practical joke for the dinner table!